With the Bush tax cuts possibly on the chopping board, one practically needs a crystal ball in order to do any tax planning before the end of 2012. There is so much uncertainty around the “fiscal cliff ” that one can only guess what to do before year-end. For sure, an appropriate strategy is dependent on an individual taxpayer’s specific situation. There are some changes in the tax law for 2013 that are definite at this time, and it is a good idea to know what changes affect your particular situation so you can decide whether to take advantage of certain benefits in 2012 or 2103. Careful planning with a tax professional may also help you decide on appropriate year-end strategies. Being equipped with knowledge is good protection against the current uncertainty, and there are a few strategies that a taxpayer should be aware of in order to make informed decisions. Here are five often-used strategies. Make tax-deductible contributions to retirement accounts. You can make a 2012 contribution to your Traditional IRA up until the tax-filing deadline in 2013. If you contribute after year-end, be sure to designate the contribution for the year 2012. Contributions to a Traditional IRA come right off your income. If you are over 50 years of age, you can make “catch-up” contributions and increase your deduction. Also, be sure to take the retirement contribution tax credit. If you qualify, this credit can reduce your income tax dollar-by-dollar. There are limitations on the amount higher-income taxpayers can contribute to retirement accounts. Always be aware of these limits so you are not hit with penalties. Speaking of limits, the deduction for a contribution to a Traditional IRA, or other tax-deductible retirement account, is called an “above-the-line” deduction. The calculation of adjusted gross income, AGI, results from subtracting these deductions from income. Many beneficial itemized deductions are limited based on AGI, and above-the-line deductions are fabulous for higher-income taxpayers. So, lower the AGI and potentially keep more of those itemized deductions. If you have a mortgage, make the payment for January 2013 before the end of 2012. This will enable you to deduct an extra month of interest expense for 2012. If you need medical or dental treatment, do it now before these expenses become more difficult to itemize in 2013. Be sure to keep accurate records of your mileage to and from medical treatment as well as any out-of-town costs such as airfare, hotel and meal expenses. For 2012, you can deduct the amount of medical expense over 7.5 percent of your AGI. In 2013, medical expenses must exceed a higher percentage of AGI making them more difficult to deduct. If you do make year-end contributions, be sure to have clear documentation of the donation from the qualified recipient. If the property is worth more than $5,000, you need to have an appraisal in order to take the deduction. 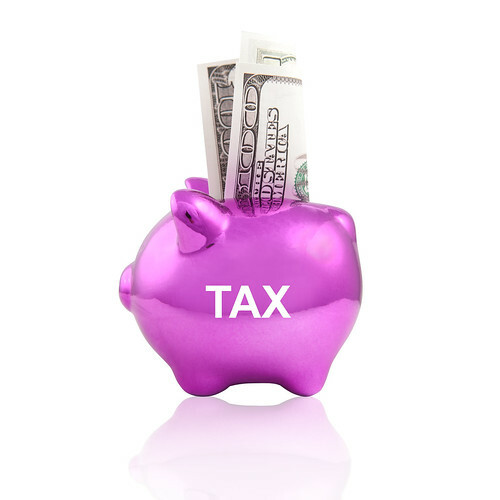 If the tax rates do increase in 2013, you may wish to postpone your contributions until next year. However, if your 2012 contribution is limited because of your AGI, you can carry forward the unused amount for five years. A tax credit is great because it lowers your tax dollar-for-dollar. The Lifetime Learning Credit can be as much as $2,000. The American Opportunity Credit can be up to $2,500. Once again, the amount of these educational credits can be reduced at higher AGI levels. Investment interest is interest that you pay on debt incurred so you have funds to purchase investments such as stocks and bonds. This interest can be deducted to the extent of your net investment income from such items as interest and dividends. If you have interest expense that exceeds your net investment income, it can be carried forward. Investment interest on debt used to purchase tax-exempt investments cannot be deducted. Always consult your tax professional concerning your specific tax situation. Dan Sawyer is an accountant and guest author at Accounting-Degree.org, where he contributed to the guide to the 10 Best Online Masters in Accounting Programs.